Stay in one of 55 guestrooms featuring LCD televisions. Complimentary wireless Internet access is available to keep you connected. Private bathrooms with shower/tub combinations feature designer toiletries and hair dryers. Conveniences include phones, as well as safes and desks. When you stay at Harboro Hotel in Melton Mowbray, you'll be 6 minutes by car from Twinlakes Park. 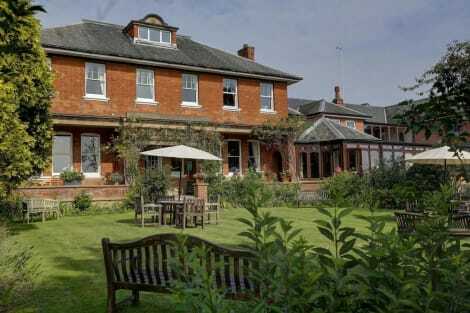 This hotel is 11.3 mi (18.1 km) from Rutland Water Nature Reserve and 16.9 mi (27.2 km) from Loughborough University. Featured amenities include express check-in, express check-out, and luggage storage. This hotel has 24 meeting rooms available for events. Free self parking is available onsite. Famed for its its pork pies and Stilton cheese, this picturesque and bustling market town - known as the ‘Rural Capital of Food' - offers visitors no end of gastronomic delights, as well as a rich and well-charted history. Most of the Melton Mowbray hotels are located in surrounding areas, including Grantham, Loughborough and Oakham. From simple old-fashioned inns, to well-known and trusted chains and country hotels, we've got the perfect place for you. Your mouth will start watering before you even arrive in Melton Mowbray with the prospect of so many local specialities to try. The town is home to Dickinson and Morris: producers of Melton Mowbray's most successful export, the pork pie. The Melton Cheeseboard in the town centre offers cheese tasting which will ensure that you leave laden down with their delicious fare, and there are traditional cafés serving cream teas and bistros, pubs and restaurants all serving delicious food made from locally sourced products. Further out of town, the Belvoir Brewery offers tours and tastings and you can pick up a bottle or two of Sloe Gin and some traditional Melton Hunt cake at Brockleys. An artisan cheese fare - which has become the largest dedicated festival of cheese in the UK- is held in the town every year in May, and the Melton Mowbray market, which takes place every Tuesday and Thursday in the local square, is a great place to see the many local producers selling their wares and feel the buzz of the market town. You can't visit Melton Mowbray without a day out at Belvoir Castle - the ancestral home of the Duke and Duchess of Rutland. It stands proudly surveying the beautiful surrounding woodlands and the Vale of Belvoir beyond. From the elegant Elizabeth Saloon to the majesty of the State Dining Room, Belvoir possesses one of the most beautiful interiors of the 19th century. You can also visit the ‘below stairs' areas of the house including the old kitchen and the bakery which will give you an idea of what life was like for servants 200 years ago. The Castle contains many impressive works of art including paintings by Gainsborough and Holbein as well as magnificent collections of furniture, tapestries and sculpture. Melton Mowbray has a rich history which is detailed on the blue plaques which visitors can follow on the town's Heritage Trail. The free Carnegie Museum which has recently undergone a significant extension, features displays on local history, trades, foxhunting and rural life. If you're after a souvenir, the museum shop stocks a variety of gifts and books related to the local area.